Why do six-month cleaning and checkup appointments appear at the busiest times of the year? You schedule them six months in advance not knowing that your work schedule is going to be outrageous at this time. Is it really that important to have another cleaning if your teeth don’t hurt? The answer is – yes! It’s extremely important, and here is why a dental checkup in Bay Shore is critical to your oral health. What Happens at My Cleaning and Checkup? A few crucial things take place during your routine six-month dental visit. First, your hygienist will clean your teeth, which removes the excess plaque buildup that contributes to many dental issues. They will also share with you tips for proper brushing and flossing techniques that will help you make the most of your home care routine. Next, your dentist will screen you for concerns such as periodontal (gum) disease, oral cancer, tooth decay, and cavities. All of these issues are most successfully treated in their earliest stages, allowing you to utilize less invasive treatment procedures. As more information emerges, we understand more about how oral health is linked to your overall health and well being. We now know that the same bacteria that causes gum disease can also contribute to other health concerns such as diabetes, stroke, cardiovascular disease, and vice versa. Being proactive about your oral health and treating gingivitis (the first stage of gum disease) as soon as possible means that you are also being proactive about your overall health. Preventive care appointments like your six-month cleaning and checkup will also help you avoid costly dental treatment procedures. For example, if your dentist detects decay in your tooth, if you are proactive about treatment, you’ll be able to treat the decay with a simple dental filling. If the diagnosis is left untreated, the decay will progress, cause further damage, and could reach the nerve of your tooth. 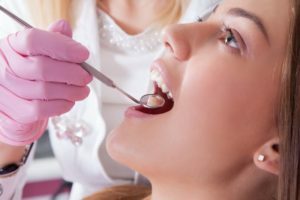 Not only is this condition painful, it requires the more invasive procedure of root canal therapy to preserve your tooth because if your tooth is not treated at this point, it may need to be extracted to protect your other teeth and jawbone. Your health is too important to ignore or risk! Go to your six-month preventative appointment, or schedule it now with your dentist if it’s time. East Islip Dental Care is comprised of a high skilled and friendly team of dentists led by Dr. Gary Rosenfeld. They have been providing patients in Bay Shore with high quality dentistry for more than 30 years. Patients will enjoy a wide range of services designed to meet all their needs under one roof. If you would like to reach East Islip Dental Care, you can call us at 631-581-8600 or contact us through our website.